Silver Creek was nice, but the pricing was a bit high. The person who gave me the tour was nice. The dining area and rooms were nice. Silver Creek was really nice. The marketing director was very friendly, but they were more expensive than other facilities. I really liked the way the facility was laid out, the dining area looked nice, and everything was clean and smelled nice. The director gave us the tour at Silver Creek, and it was very impressive. The staff was really friendly, it was a very clean place, and everybody seemed happy. The apartments were a bit small. Overall, it would have been fine, but the cost was absolutely ridiculous for me. Hi Karen, we are so happy that you took the time to tour our facility and took the time to write a review about your experience. Thank you for the positive feedback and if we can ever be of any help, please feel free to reach out anytime! I am very impressed with Silver Creek. It felt very welcoming, from the the way you're greeted to the appearance and the cleanliness. You feel like you're taking a vacation or holiday somewhere. It's very nice. You have a choice of chicken, beef, or fish, so you have variety of meals. It's like going into a first-class restaurant because they bring it out by the course. It's very well done and it's like you have a regular international chef preparing your meal. Hi Alan! Everyone at Silver Creek thanks you for your positive review! We take pride in providing a clean and happy home for our residents. Please feel free to stop back by anytime to visit or reach out if you have any questions! The best way to get to know a community is by scheduling a tour. See the facilities, meet the staff and residents, and get a feel first hand what it's like to live at Silver Creek Assisted Living Assisted Living. 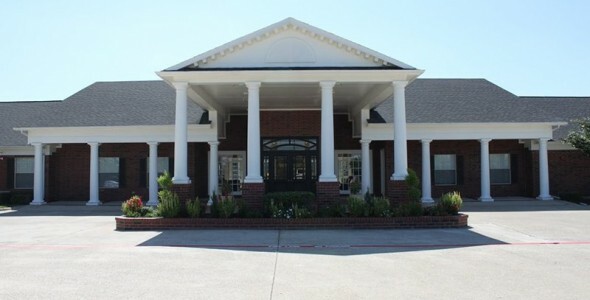 At Silver Creek Assisted Living we offer three floor plans, two of which have the option of being shared or private. We pride ourselves on providing a warm, homelike environment and we customize the care offerings to individual need. This allows each resident at our community the freedom and opportunity to make choices that will ease their lifestyle transition. We offer care options for those requiring assistance with the activities of daily living such as dressing, bathing and help with medications. We welcome furry friends as we are a very pet friendly home. Our residents enjoy a full-service beauty salon, linen services, daily housekeeping, worship services and medication management. Other amenities include three daily nutritious meals, transportation, social activities, complimentary Wi-Fi, and monthly wellness checks. At Silver Creek Assisted Living, your family is our family!